U.S. Navy Veteran Barnhart joined the Local 710 freight team as a Business Agent in October 2015. Prior to that, he was a Road Driver at ABF for nine years where he drove over one million miles without an accident. Barnhart has also been involved with the Steelworkers and Paperworkers unions in Indiana and served as a steward for two years. Bartolo has been a union member at Jewel for 37 years. He sat on the last eight bargaining committees fighting for stronger contracts at Jewel and served as a steward for 25 years. He is now the Business Agent for the Jewel Warehouse, as well as several other shops. DeCola has been a Teamster since 1969 when he began at Yellow Freight as a spotter/dock worker, becoming a steward in 1984. For Local 710, he has been involved with labor lobbying, served on the bylaw and freight negotiating committees and worked as an organizer. DeCola serves as the chairman on many grievance panels and has been elected as a Delegate. Dillon worked as a Package Car Driver for UPS at the Tri-City facility in Westville, Ind. for 28 years. He was a steward for over two decades, serving on two Teamster bargaining committees for UPS contract negotiations. Dillon joined the Local 710 team as a Business Agent in 2014 and services UPS members in northern and central Indiana. Lamy started off in the carhaul division and now serves on its national negotiating committee and manages a variety of contracts at 710. He has been an elected CFL delegate for 7 years and has experience as an organizer and DRIVE coordinator. Lamy is the co-chair for the Central/ Southern Carhaul Arbitration Committee and chairs many Local 710 grievance panels. 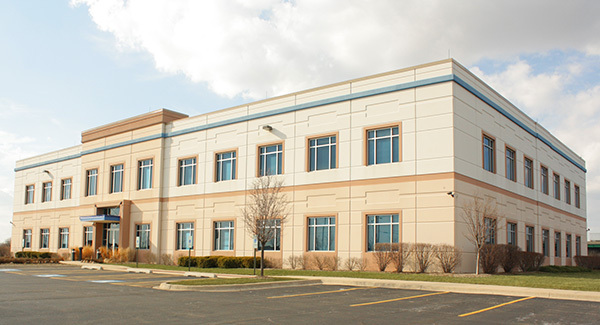 McNamara began his UPS career in 1984 at the Rockford, Ill. facility. He became a package car driver in 1989 and served as a Local 710 steward for twelve years before joining the UPS team as a Business Agent in February 2015. He represents UPS members in northern Illinois, including the facilities in Rockford where he worked. McKinney worked as a Package Car Driver out of the UPS Evansville facility for over two decades. He served as a steward for 17 years there before joining the Local 710 team in 2016. As an active member in both his union and community, McKinney has headed-up several charity projects. He now works representing 710 members in southern Illinois and Indiana. Ramirez has been with the Teamsters for nearly 20 years. He worked as a driver before becoming a Business Agent with Local 743. He is a familiar face at Local 710, having driven for Local 710 companies and being active at membership meetings. Ramirez also serves as the Executive Vice President for the Chicago Teamsters Hispanic Caucus and speaks fluent Spanish. Rule began his union career with Yellow in January of 1989 as a dockworker. He was elected as a steward in 1998 and served for 17 years. During his tenure at Yellow/YRC, he also worked as a saftey trainer and qualified as a spotter. He began as a Business Agent for Local 710 in October 2015 to represent members in the freight industry. Schaefer began his union career at UPS in 1989. He became a driver five years later and became a steward at the same time. He served on the Local 710 bargaining committee for the UPS Contract in 2002 and 2013. Schaefer joined the UPS Business Agent team in 2014, servicing members in central and southern Illinois chairing several grievance panels. Sherlock has been a union member for over four decades with the CTDU and IBT. When the CTDU merged with Local 710 in 2001, Sherlock brought 4,200 members & a wealth of experience with him. He has chaired many grievance panels and has over 25 years experience as an agent. He also has experience serving as a Trustee on union Health, Welfare and Pension Funds.